Supermarkets have already had their seasonal stock in for over a month, so if you haven’t done so already, it’s time to start decorating your landing pages for all of the festive fun. 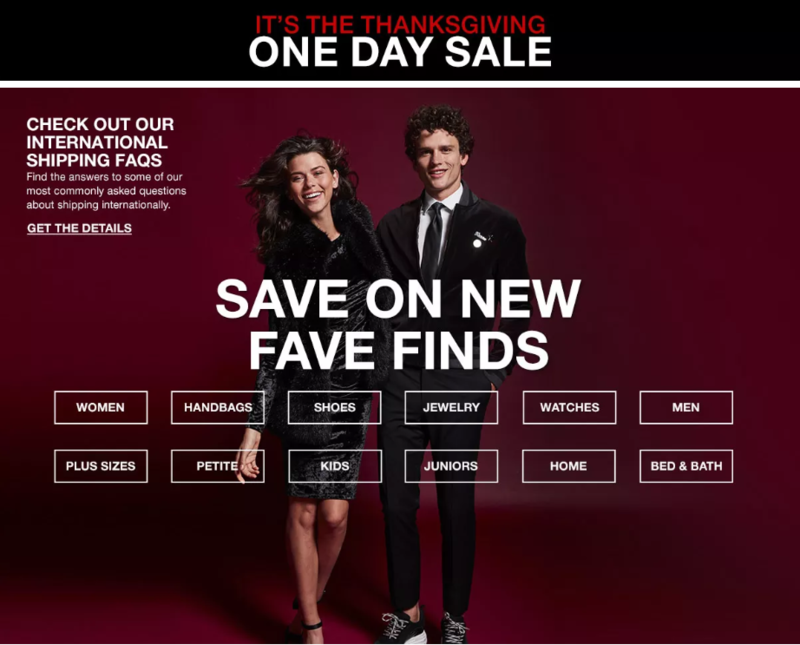 The key to making a successful seasonal landing page is knowing exactly how your customer thinks and acts. To understand this, first you have to put yourself in their stockings. People always have friends and family who are difficult to buy for. Therefore, they love getting advice. If you can offer their loved ones something a bit different, then you can sell on novelty alone. People are willing to spend a little more to make their loved ones happy! So if you’re offering luxury, then sell it! Gifts sorted by ‘Him’ and ‘Her’ (although this year it could also be ‘They’). Making it easier for shoppers to make a decision based on something ‘he’,‘she’ or ‘they’ would like saves people a lot of hassle. There will always be last-minute shoppers desperate to find something before it’s too late. Therefore, make sure your campaigns target people looking for last-chance deals. You should aim to use at least one of these as your inspiration and then target your landing page accordingly. Like all landing pages, your Call to Action is the most important part, as it is where you will get customers to convert. Christmas is all about hype and excess and people are far more willing to spend their hard-earned money. It’s your job to make their process of doing so as easy as possible. Therefore, think about the colours you use, and the language. You might want to consider less of a hard-sell around Christmas as people are already very pressured. Instead, offer them the comfort and ease of mind that says, ‘once you click here and buy this, then your shopping is done and you no longer have to worry’. Lots of major companies focus on calming customers into buying around Christmas, rather than setting hard-selling deadlines. The reason for this is that everyone has the same deadline and everyone already feels pressured into buying. Therefore, the easiest way to get someone to buy something is to reassure them that it’s what the other person will want and that once they do, they can relax again until next year. If you are able to run special offers, then now is the time of year to do it. People have a lot of presents to buy and not much time to do so. Therefore, if you can help customers to buy multiple items and combinations all from you then they will be making their lives easier and boosting your profits. 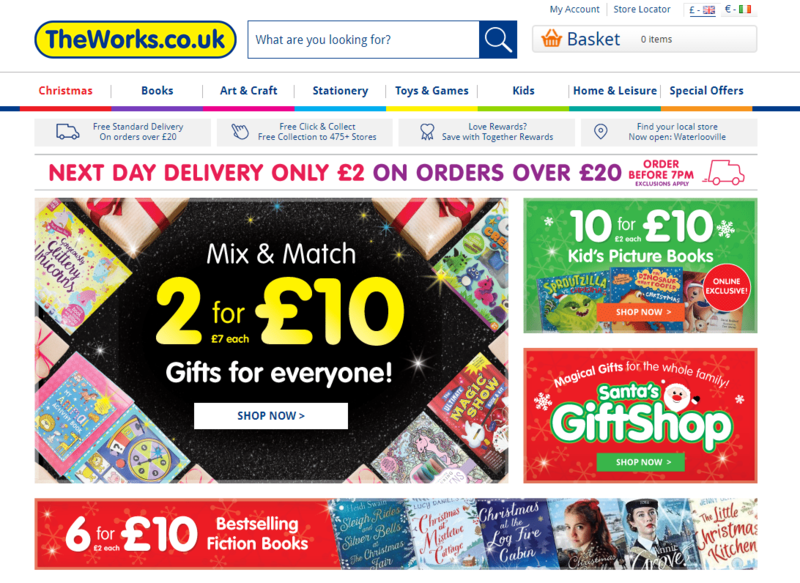 The UK discount book retailer ‘The Works’ knows this and have produced an eye-catching page to ensure they have the family covered for Christmas. 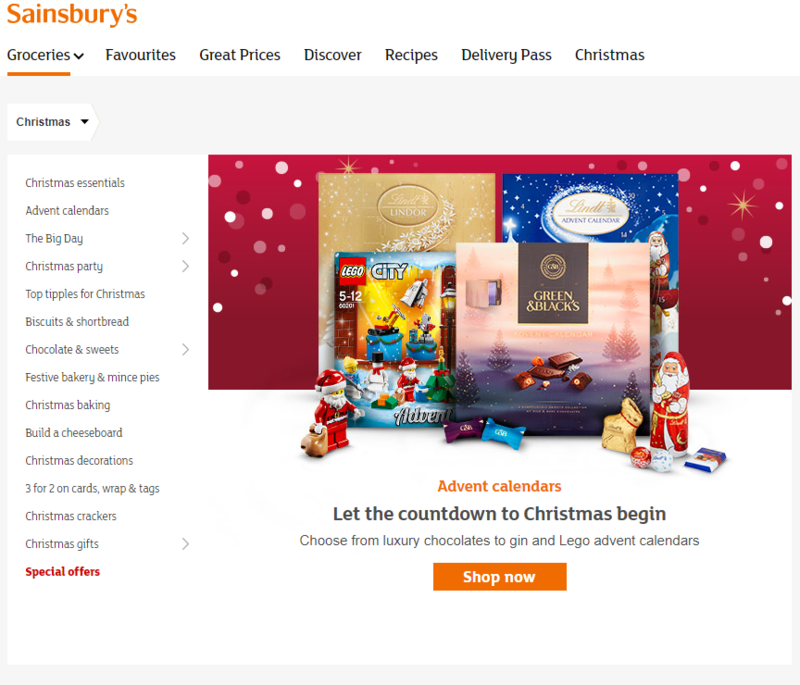 If you’re promoting a Christmas campaign with a Christmas landing page then make it look Christmassy. While your customers may be running around trying t get everything bought, they still want to get in the spirit of things. Plus, if you use Christmas colours such as red, green and gold, it will be instantly recognisable and people will know that they are viewing Christmas stock. It will also give people the feeling that the offer is limited, without you having to tell them. Here is or landing page recipe for success, neatly wrapped and ready to be opened!